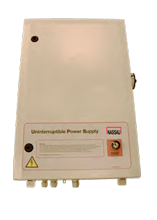 With NASSAUs battery backup solution for (USP) NASSAU sectional doors for the controller type NCU310UPS is approved and certified according in accordance with applicable EN 12101-10 standard fire ventilation. UPS is a power supply with a constantly charged battery that takes over if the power supply fails. There are also fireproof cables included in the solution as standard. It gives a higher safety in case of fire in the building. 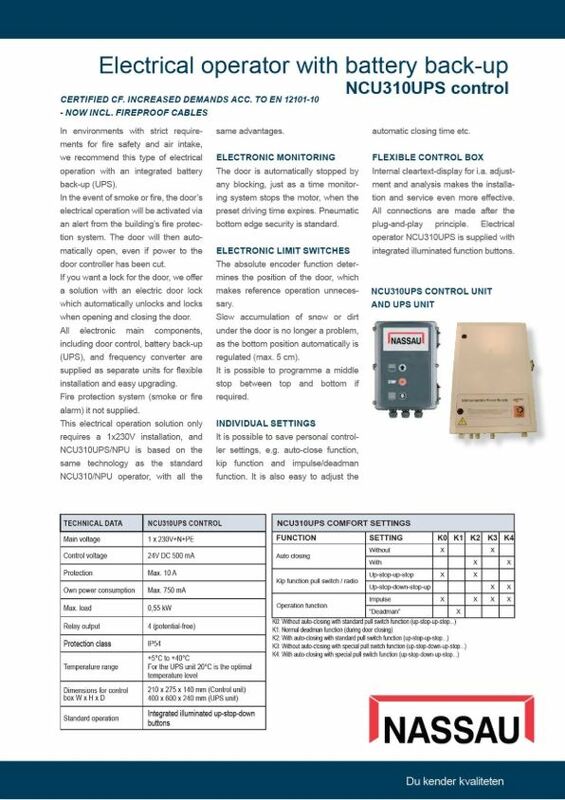 NASSAUS battery backup connects automatically to the building fire prevention system, from where in case of smoke and fire send impulses to the gates electrical operations. Then the UPS-system will activate. The door will automatically open to the upper end stop in case of smoke and fire regardless of power failure to the gate. The battery is charged as needed, and in normal operation it is inactive. However, the solution can only be used in combination with ELECTRICAL OPERATIONS from NASSAU. With UPS and fireproof cables your safety will be at a high level. 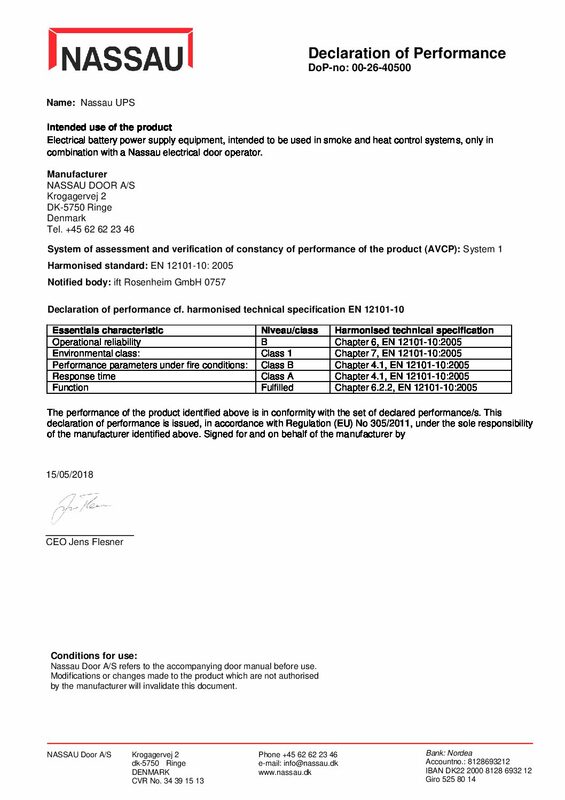 We can now document that our products are approved and certified according to the standard EN 12101-10. If you would like to read additional information, please read the product sheet below. You can also find our certificate.